Is there a chance to view Stuttgart? Hardly any artist knows how to approach the subject of art collections as subtly as Florian Slotawa (* 1972 in Rosenheim), who studied in Munich and Hamburg. 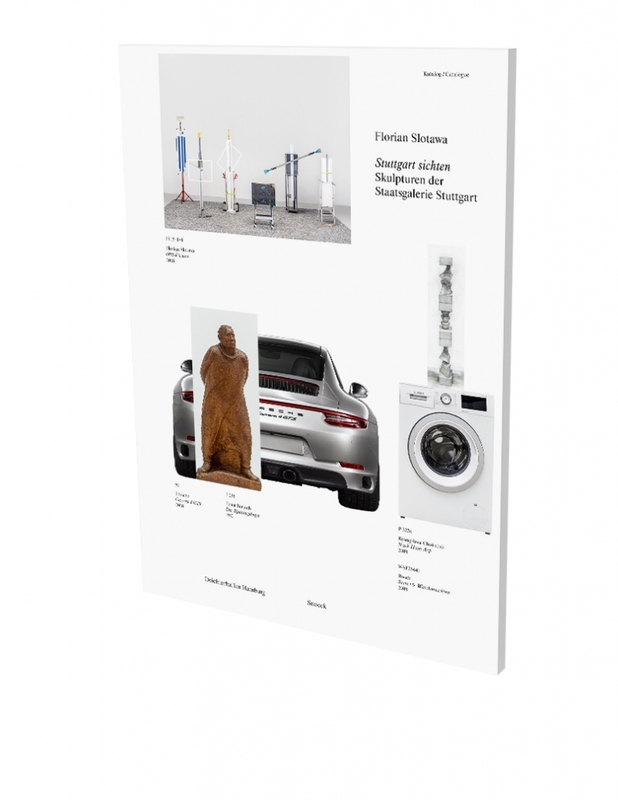 In 2009 he exhibited i. a. at P.S.1 MoMA New York, in 2012 at the Arp Museum Bahnhof Rolandseck (catalog by Snoeck), and in 2014 at Hamburger Bahnhof in Berlin. For 30 years, the Berlin-based artist has pursued performative strategies in his sculptural work. Deichtorhallen Hamburg, in cooperation with Staatsgalerie Stuttgart, is now showing his sculptural Gesamtkunstwerk STUTTGART SICHTEN. He uses sculptures by Auguste Rodin, Aristide Maillol, Alexander Archipenko, Julio Gonzales, Henry Moore, Richard Serra or Walter de Maria – to name only a few – as artistic material in an overall production and, at the same time, presents an epochal overview of the development of sculpture. He was given the opportunity to select works from the sculpture collection of the Staatsgalerie Stuttgart in order to reassert their relevance in a completely new way in the 3000 m² space at Deichtorhallen. The exhibition project STUTTGART SICHTEN (Viewing Stuttgart) is predicated on the highly topical issue of how museums currently work with their collections, their innovative forms of presentation, and also how to find a successful balance between classical art education and a contemporary form of presentation while engaging the visitors' curiosity. Florian Slotawa chooses unusual ways, he develops different perspectives on how he personally relates to the sculptures, he sorts them according to specific orders, combines them with everyday objects and he might, for instance, »reconstruct« them. This reveals a different view an art and, ultimately, leads to the question: what is sculpture today? The accompanying volume, developed in collaboration with the artist, offers a graphically very successful insight into this remarkable experiment.